I have a confession: I put BBQ sauce on everything. I even add it to tuna mayo (sorry). 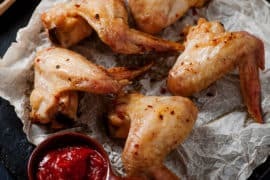 So it stands to reason that a keto-friendly bbq sauce can be used to spice up (literally) anything. There are loads of great keto bbq sauce recipes out there, but sometimes you just need something quick, easy, and off the shelf. 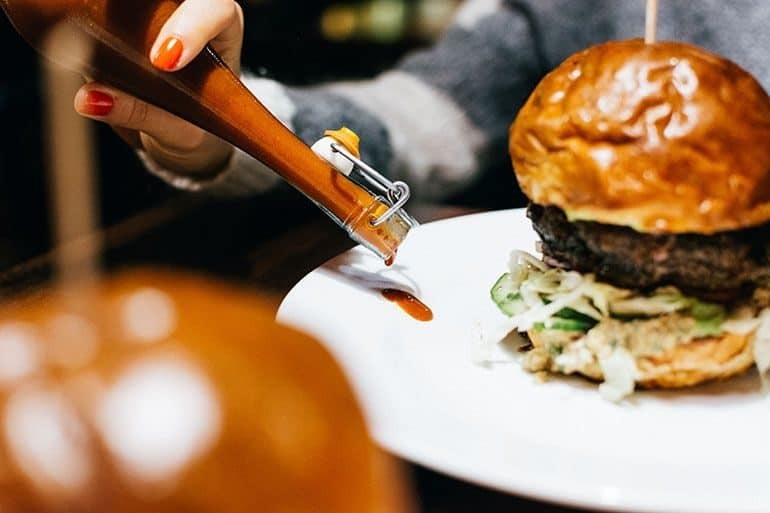 It used to be true that a lot of keto-friendly or low sugar BBQ sauce alternatives were just plain bad, but this really isn’t the case anymore. 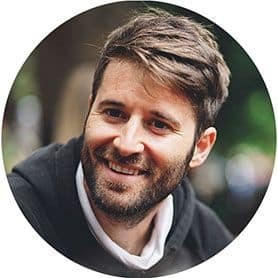 Thanks to the rise in popularity of diets like the ketogenic, sauce companies are providing more and more excellent options. These are the best store bought keto bbq sauces. All of these are keto-friendly, low-carb, and sugar-free. This BBQ sauce is fully keto approved, and is sweetened only by stevia. This ingredient delivers a lovely sweetness to it that goes really well with the sauce’s core BBQ ingredients. It has keto-friendly ingredients like salt, vinegar, chili and garlic. 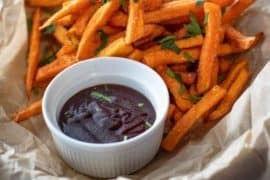 It does contain Worcestershire sauce, which means it does have a dash of sugar on account the Worcestershire sauce’s molasses content, however this doesn’t constitute a full ingredient. It comes in either ‘original’ or ‘spicy’ flavors, making it great both for those who are still on the fence about hot sauce, and those who like to go head first into something spicy. Whichever flavor you choose, each sauce only has 2g carb per serving. Because of its stevia content, it is naturally very low in carb and sugar content without the need for any additives. In fact, it has the lowest amount of sugar I’ve ever seen in a BBQ sauce, which is incredible to think given how sugary it tastes. All in all, the bottle price is in the same range as non-keto-specific varieties, and offers a far healthier, sugar-free alternative. All with a great kick to it. What’s not to love? This classic BBQ sauce has been popular for years now, and it’s great to see a sugar-free, keto-friendly version of it now widely available. It comes in a choice of flavors (this itself is quite rare for food made for dietary requirements!) like hickory, honey, and maple brown. If you’re going to pick any then hickory will definitely go with BBQ the best due to its inherently smokey nature. Honey is a great shout with red meats though too. It has 2g carbs per tablespoon, with a lot of the carb content coming from the crushed tomato. It’s sweetened with a tiny amount of sucralose. Just like many of the other sauces on this list, it contains 2g of carbs per tablespoon. It’s sweetened with sucralose. 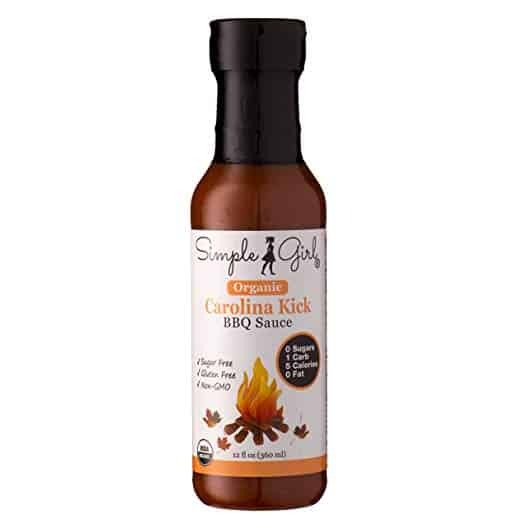 It has a beautifully spicy flavor without being overpowering, and actually closely matches non-keto BBQ sauces really well. 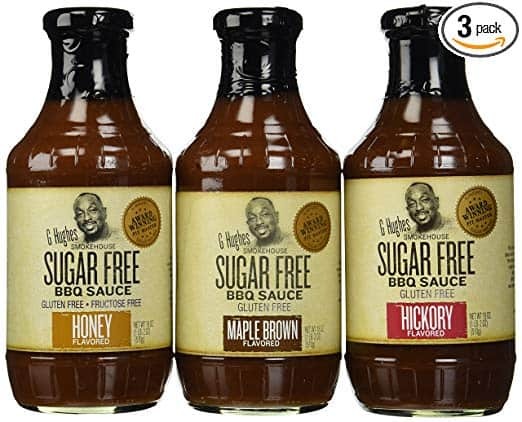 The flavor is more like your typical vinegar-based BBQ sauce, so if you are looking for a keto vinegar bbq sauce this is it. What’s more is that it comes with a range of flavors, from simple hot, to smokey garlic, as well as smokey bacon. This sauce also features stevia, which makes it a popular choice. The natural sweetener is extremely keto-friendly. It features flavors in hot, sweet n’spicy, and Carolina kick. All three offer a beautiful blend of spice, sweetness, and tang to provide a delicious, sugar-free sauce. Some people might not like the slightly thinner consistency of this sauce, but if you’re willing to try something new then this has plenty to offer. This thin consistency does have its up sides though: It means that there are fewer additives in it, which make it an amazing 1g of carbs per 2 tablespoons. 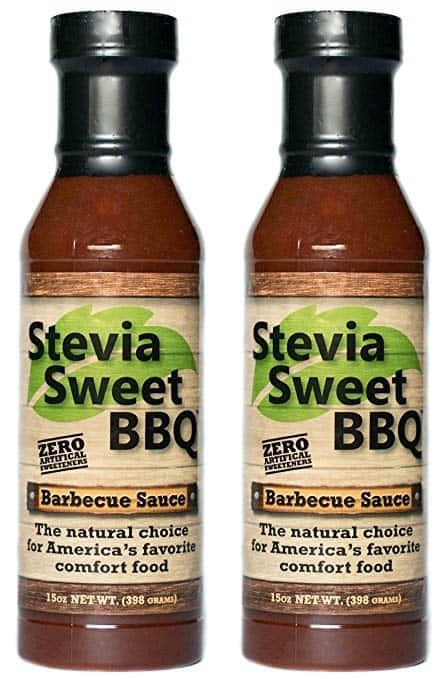 This BBQ sauce actually has two sweeteners in the form of stevia and erythritol, both of which are zero calories and carbs. True to its name, it has a strong smokey flavor. It’s 2g of carbs per tablespoon of sauce, which is fairly standard. 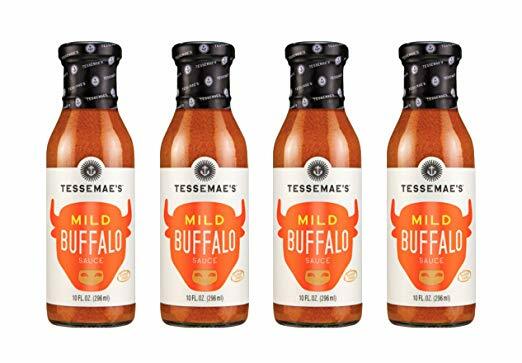 In most instances, the carb content of these keto BBQ sauces comes from the crushed tomatoes, not any added sugars. 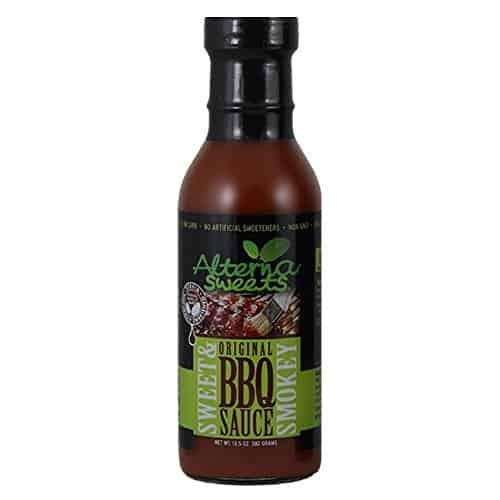 This sauce packs an awful lot in to create a dynamic flavor to its BBQ sauce. It has vinegar, citrus and spice to give it a real kick. 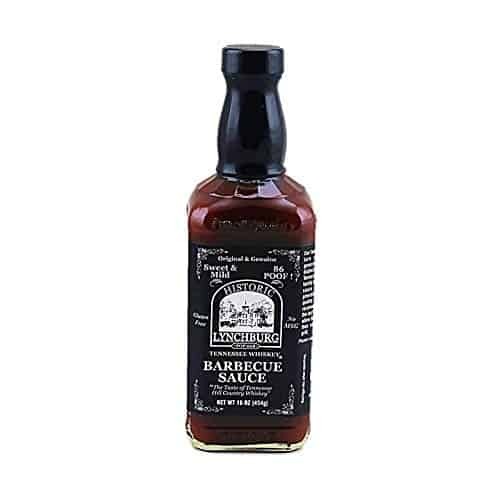 This strong flavor makes it not just a contender for best keto BBQ sauce, but best BBQ sauce full stop. As a side note, the bottle for this sauce might be my favorite on this list. There’s something about understated, deep colors on a bottle that I love. It’s only 1g of carb per serving, making it extremely keto-friendly and also good for people with diabetes.